Stephen Thompson and Anthony Pettis are both perennial UFC contenders who are now at a crossroads in their careers. One will take a step forward when they meet Saturday night in the main event of UFC Fight Night 148. The 13-bout UFC on ESPN+ 6 card from Bridgestone Arena in Nashville starts with preliminary fights at 5 p.m. ET, followed by the main UFC Fight Night 148 card at 8 p.m. ET. Heavyweights Curtis Blaydes and Justin Willis meet in the co-main event of UFC Fight Night Nashville. Thompson (14-3-1) is the third-ranked welterweight seeking a return to title contention following losses in two of his last three fights. Pettis (21-8-0) is the former lightweight champ, now ranked No. 8 in the division, who is 3-6 in his last nine bouts and moving up a weight class to take on one of the sport's most feared strikers. Thompson is a -350 sportsbook favorite (risk $350 to win $100), while Pettis is a +275 underdog (risk $100 to win $275) in the latest Thompson vs. Pettis odds. Blaydes is a -250 favorite against Willis (+200) in the latest Blaydes vs. Willis odds. Before you make any UFC Fight Night 148 picks, you need to hear what SportsLine MMA expert Kyle Marley has to say. Marley won the first-ever 'ToutMaster' UFC betting contest sponsored by MMAOddsBreaker and appears regularly on multiple MMA betting and DFS shows. He watches every single fight for every single UFC card and does extensive research before each event. Over the last 10 months alone, $100 bettors who have followed Marley's picks are up more than $19,000. It's an astonishing cash rate that shows the depth of Marley's knowledge. Just last week, Marley told SportsLine members that underdog Marc Diakiese (+195) would defeat favored Joe Duffy (-235) by unanimous decision in a lightweight bout. Diakiese dominated from the opening bell to win comfortably on each scorecard, and anyone who followed Marley's advice cashed big. At UFC 235, Marley advised SportsLine members that underdog Kamaru Usman (+150) would upset champion Tyron Woodley for the UFC welterweight title. He predicted Usman's energy and activity level would be the difference in a unanimous-decision victory. That's exactly what happened as Usman controlled the action to claim the title belt. Marley went 9-2 at UFC 235, and anyone who has followed his advice is way up. Now, with UFC Fight Night Nashville fast approaching, Marley has carefully studied every matchup on the 13-fight card, identified the best value in the UFC odds and released his MMA picks for every single fight. He's sharing them only over at SportsLine. Marley knows that Thompson, 36, is eager to ascend back into title contention in a crowded welterweight division. 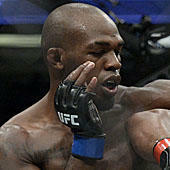 He had two shots at the belt against former champ Tyron Woodley that ended in one draw and one close decision loss. He rebounded with a decision win over Jorge Masvidal, but suffered another close decision defeat in his last bout against Darren Till. Thompson is regarded as one of the most fearsome strikers in UFC. The 32-year-old Pettis is known for his fearlessness, action-packed bouts and willingness to accept a challenge from any opponent. The former lightweight champion received Performance of the Night for his showing against Michael Chiesa at UFC 226 last July. He won the fight with a second-round armbar. For UFC Fight Night 148, we can tell you Marley is backing Bobby Moffett (-185) against Bryce Mitchell (+160) in a featherweight bout on the preliminary UFC Fight Night Nashville card. Moffett (14-3) has won four straight fights and is coming off a submission win against Chas Skelly in November. He's facing Mitchell (10-0), an undefeated prospect who is stepping up in level of competition. "Moffett is the better wrestler, so he'll be the one to take this fight to the ground," Marley told SportsLine. "If he can stay out of submissions, he'll win this fight. Moffett could lock up a submission on the ground, but Mitchell will be good enough to survive, so I will pick Moffett to win a wrestling-based decision." Marley also has very strong UFC picks for Thompson vs. Pettis, Blaydes vs. Willis, and every other fight. He's only sharing who to back for every bout on the UFC Fight Night 148 card over at SportsLine. Who wins Thompson vs. Pettis and Blaydes vs. Willis? And how exactly does each fight end? Visit SportsLine now to get detailed UFC Fight Night 148 picks for every fight, all from the sizzling expert who's up more than $19,000 on MMA in the past 10 months alone, and find out.